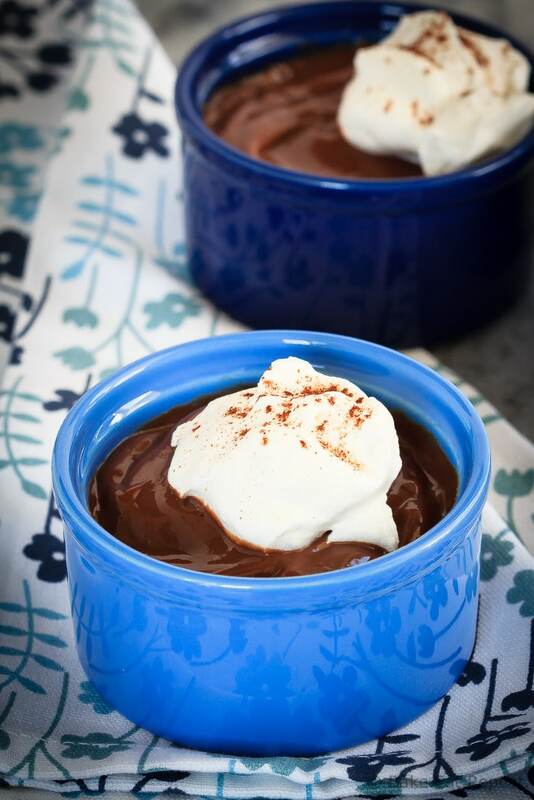 Quick and easy homemade chocolate pudding that is silky smooth and perfect for dessert or a snack. Because homemade is always better! Homemade chocolate pudding. This may just be one of the best treats I’ve ever made. But then, I’ve always loved chocolate pudding. It was one of those things I was always excited to find in my lunch when I was a kid. And yet, I think I’ve only bought it for my kids twice. Not sure how I’ve gone without buying them pudding cups for their lunch – it seems a little wrong really. It was always the best treat. My poor deprived children. But I made them some! Of course, we ate it all at home in no time at all so they didn’t actually get some in their lunch, but I’m thinking that next time I make this homemade chocolate pudding I will portion it in little jars instead of ramekins and then it will be packable for lunch. The only problem then will be hiding it from myself in the back of the fridge so that I don’t eat it all before the children get any. Still a favourite of mine, evidently. I’ve tried so many recipes for homemade chocolate pudding, and am always disappointed. It never turned out the same as the little pudding cups you can buy. I started wondering if, in the case of chocolate pudding, maybe homemade isn’t better. But I refuse to believe that because it can’t be true. Homemade is always better. That’s just a fact. I had a really hard time finding a recipe for amazing homemade chocolate pudding though. This is that recipe. It’s easy, it’s fast, it doesn’t use up your life savings in fancy chocolate to make it (just cocoa powder – yay! ), and the taste and texture is perfect. Plus it thickens up beautifully and easily without stirring it on the stove for an eternity – and I have the worst luck at thickening things so if it’s easy for me, anyone can do it! 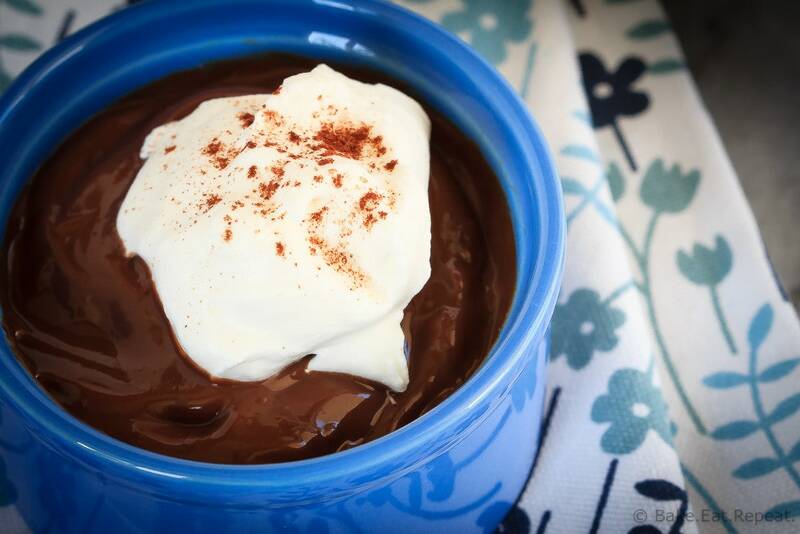 This homemade chocolate pudding is perfect. Because homemade is always better. 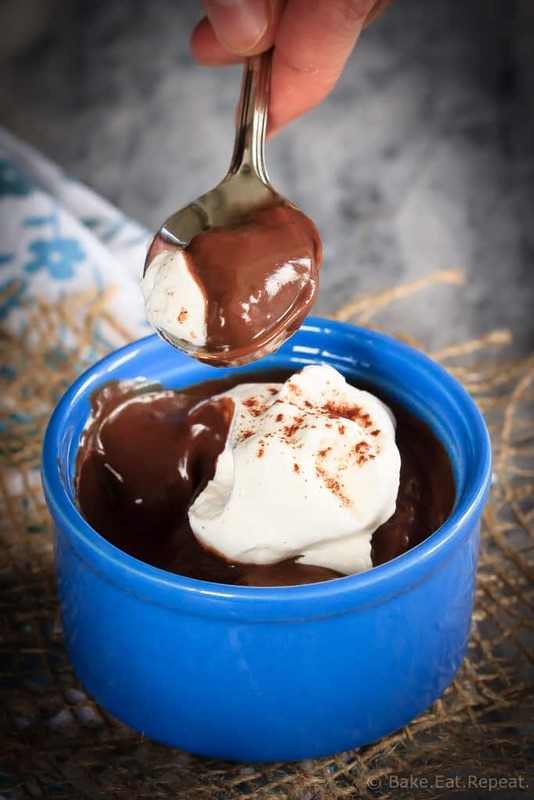 I’ve also shared this Homemade Chocolate Pudding Recipe over on Food Fanatic. Just wondering if some of the milk could be substituted for creme? I haven't tried it but I think it would probably be just fine!